A perfectly balanced silhouette flirts with the angled edges of a gemstone cut in the Wells collection. 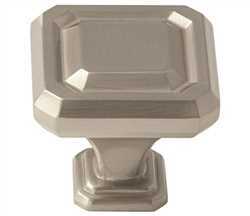 Mount at 45 degrees to create an elegant diamond shape. 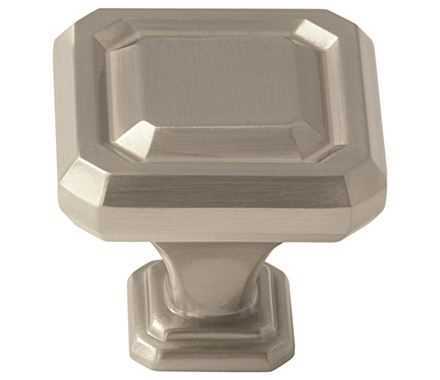 The Amerock BP36546G10 Wells 1-1/4in(32mm) Length Knob is finished in Satin Nickel.